We all love to receive presents for Christmas, our birthday, and other holidays. It's exciting to wonder what's in those brightly wrapped packages, but after the excitement's over, you have a bunch of pretty paper leftover that will be discarded into a landfill. Did you know that you can craft with wrapping paper? This type of paper comes in thousands of patterns and colors and can be incorporated into various arts and craft projects. Wrapping paper comes in different thickness, from the thin stuff that needs a bit of reinforcement to beautiful high-end papers that could be framed as works of art just as they are. Make an ordinary paper box into something special by applying beautiful colored wrapping paper to the outside. You'll want to get these out of the closet and onto your shelves—these boxes are pretty enough to double as home decor. Do you have a large empty space on your bare walls and want to fill it with beautiful art but don't have any money to spend on pricey paintings? Wrapping papers can be framed and used as modern art to fill those empty spaces. You can find beautiful high-end papers online (don't use the cheap stuff for this project) that are thick and have beautiful designs printed on them. After you cut and frame your "art," no one will be the wiser. Wrapped flowers are the perfect gesture for those times that a whole gift isn't necessary. Just gather some flowers from your garden or grab an inexpensive bouquet from the grocery store and wrap them in the prettiest wrapping paper you can find. Your recipient will appreciate the thought and effort you put into this simple gift. Using the scraps of your favorite wrapping paper, you can create a unique and colorful collage. 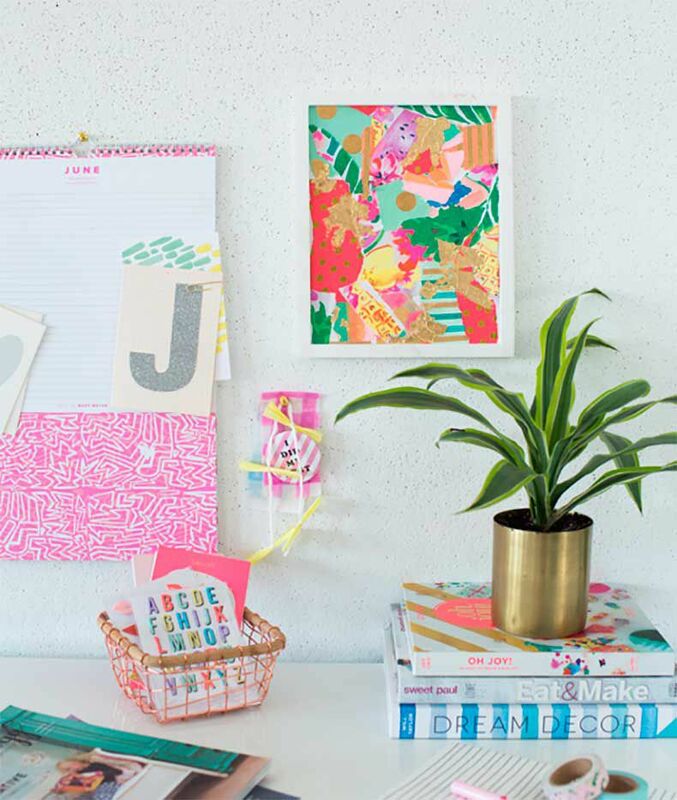 Frame it and hang it up as wall art, or decoupage it onto coasters—once you realize a fun, eclectic combination, you'll want to use up every last scrap and put it everywhere! Although this project was created as a gift wrapping idea, you could use it for other things, too. Wrap a box in pink paper and make a piggy for young children to play with as a toy or cut a slit on the top, and it becomes an instant piggy bank. You can even use it as storage and decoration in a kid's room. Who knew how much fun you can have with an ordinary paper box! Tip: Change out the paper to suit the seasons and display other cards and artwork during the year. Protect your books and give them some creative design style with colorful wrapping paper. Gone are the days when we used ordinary brown paper bags to protect our books. Show the world some color and cute patterns when going to class. Make your job a bit more special when you cover your clipboards with colorful papers. You'll have to smile every time you look at your pretty clipboards! Wrap some packages to look like a shark, an owl, and a cat. Your children will be so enthralled with the paper animals, that they might even forget that there's still a present inside. Cute Animal Wrapping Paper Ideas from A Beautiful Mess! It's very trendy these days to upcycle and repaint furniture rather than buying everything new. Give your furniture pieces a fresh new look by decoupaging them with wrapping paper.